In this review we feature the best budget noise cancelling headphones that deliver superb sound performance and active noise cancellation without busting your wallet. 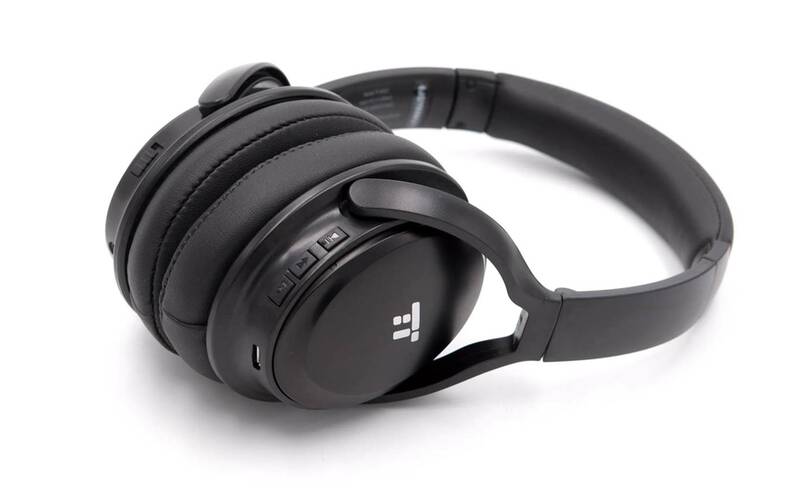 The headphones are designed to provide quality sound performance with noise cancellation, and are perfect for travel or listening to music in noisy environments. Our experts have tested these headphones to determine which ones provide the best value for money and longest battery life, and can work with or without noise cancelling switched on. 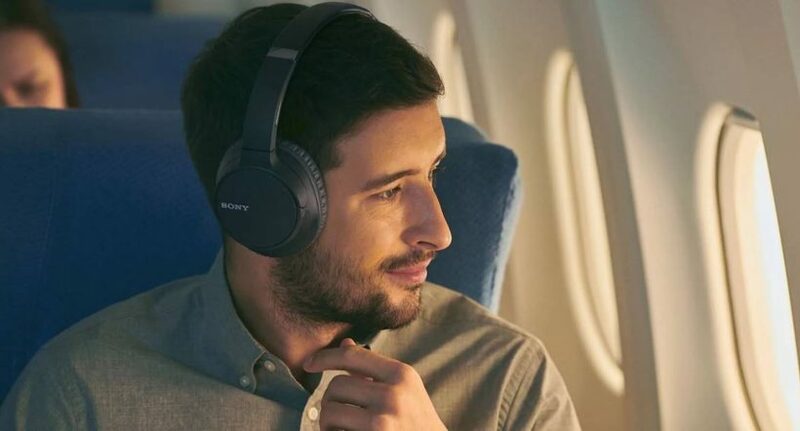 If you are on a tight budget and need a good set of noise cancelling headphones that can really deliver, be sure to check out our top picks below! The Mpow H5 tops this list as the best noise cancelling headphone you can find on a budget. 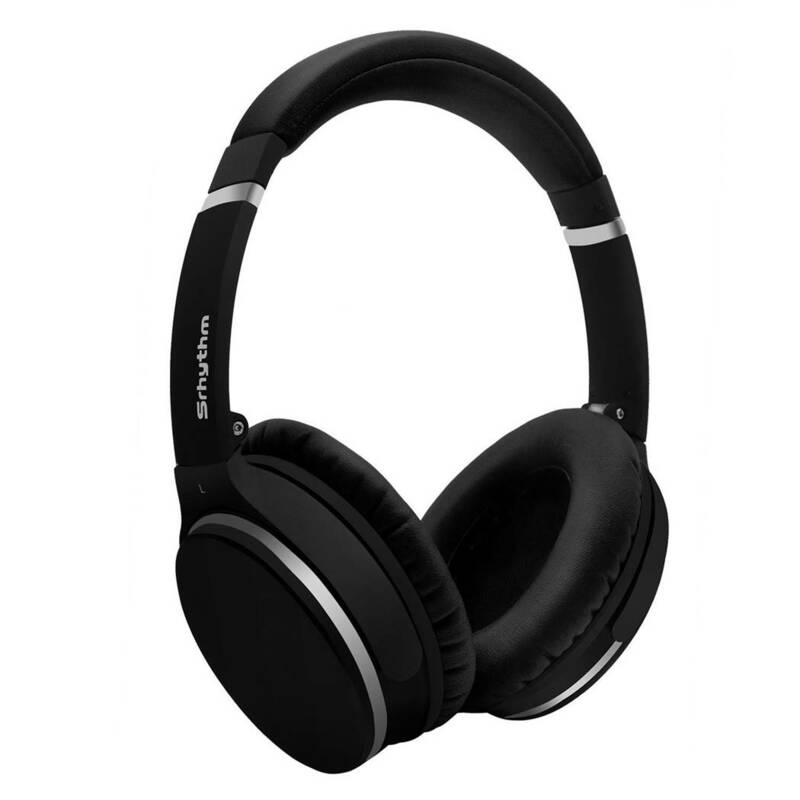 These headphones do not cost much, but come with effective noise cancellation technology which reduces the noise of city traffic, plane or conversations while wearing these headphones. The headphones are capable of reducing noise by up to 20 dB when the noise cancellation is switched on. Furthermore, the Mpow H5 headphones come with an adjustable headband, protein earpads and supplies lightweight comfort for extended durability. You can practically wear these headphones for long periods of time without feeling fatigued. It also comes equipped with Bluetooth 4.1 for wireless music transmission from up to 33 feet away. The headphones come with a built-in battery that provides up to 25 – 30 hours of continuous music playtime without any lag or distortion. You can also revert to the 3.5mm auxiliary cable when the battery life is low. The active noise cancellation can be turned on/off by using the switch control on the right ear cup. The buttons on the ear cups provide an intuitive control to manage power, volume and track music or calls. The TaoTronics headphones are a set of budget noise cancelling headphones that provide surprisingly good sound quality and performance. The active noise cancellation effectively blocks up to 85% of background noises, allowing you to enjoy music in noisy environments. We liked the fact that these headphones come with adjustable and comfortable ear cups which swivels up to 90 degrees; the ear pads are made of soft protein and an adjustable headband suits all head shapes and sizes. In terms of battery life, the TaoTronics headphones come with a built-in battery that delivers a whopping 30 hours of playtime per charge. It also delivers crystal clear sound quality, with 2 large-aperture drivers (40mm) that stream high resolution audio with deep bass response. Another feature of the TaoTronics headphones is the built-in microphone and airplane adapter which transmits your voice clearly, providing you with enhanced call quality in loud environments. It also comes with a carrying case for easy portability. The entire package comes with the noise cancelling headphones, USB cable, airplane adapter, carrying case and user guide for easy reference. The COWIN E7 are hands down some of the best budget noise cancelling headphones with professional ANC technology and high quality streaming. The noise cancellation on these headphones significantly reduces noises while travelling or working, and quells airplane or cabin noises. 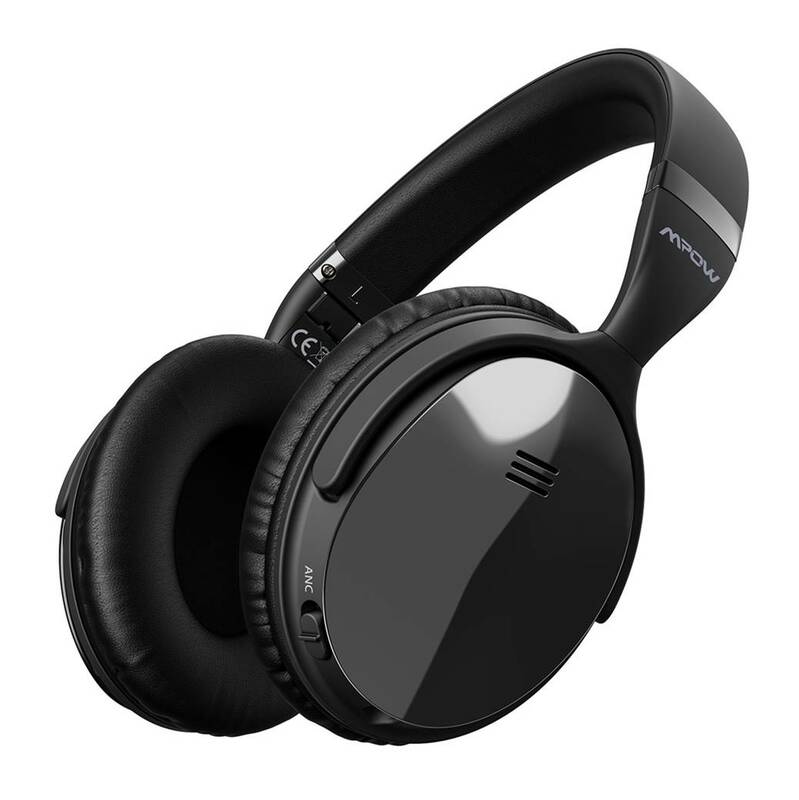 The noise cancellation function works in both wired and wireless modes. The COWIN E7 come equipped with proprietary 40mm large-aperture drivers that provide deep and accurate bass response. The sound performance of the COWIN E7 is crystal clear, with crisp, powerful sound that allows you to appreciate the finer details in the music. We liked the fact that the E7 has a high-quality built-in microphone with NFC technology that allows you to take hands free calls on the go. The NFC pairing is aided by voice prompts, and provides a quick and stable connection with your Bluetooth enabled devices. The headphones come with professional protein earpads and a 90 degree swivelling ear-cup for durability and comfort. Finally, these headphones feature a built-in 600 mAh battery that supplies up to 30 hours of continuous music playtime on a single charge. The AO ANC Headphones are among the best noise cancelling headphones you can find on a budget with a sleek and modern design. These headphones feature advanced ANC that reduce outside ambient noises and allow you to hear everything that the artist intended to be heard. They are great for use on an airplane, train or gym or any other noise environment – these headphones works in both wireless and wired modes. The AO Headphones provide AO signature sound with a good balance of bass, full-mdiranges and crisp highs that suit a variety of music genres. The active noise cancellation enhances the sound quality and makes it feel lifelike. 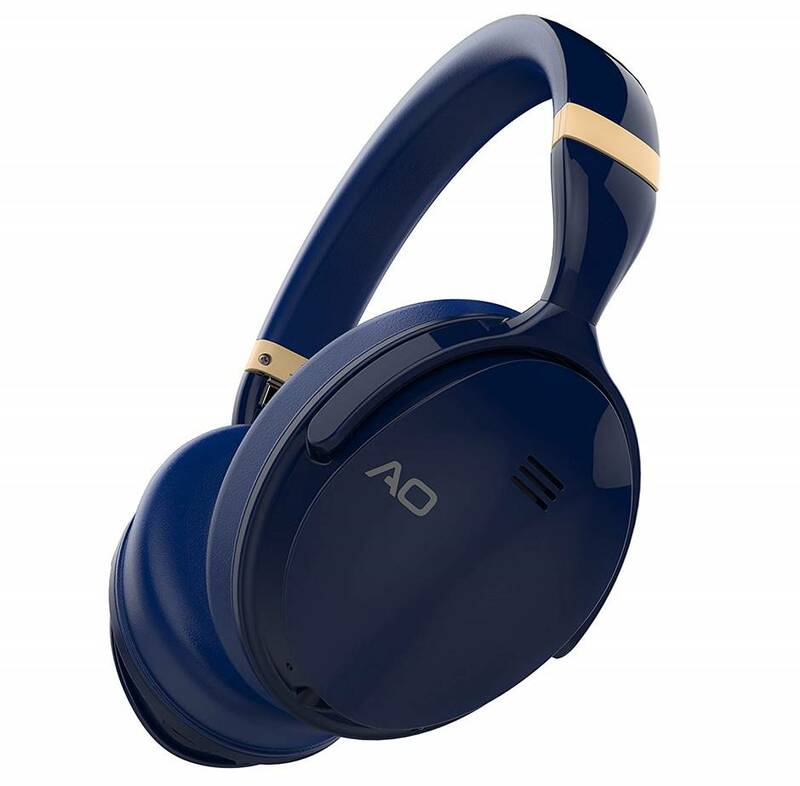 We liked the lightweight comfort and over-ear cushion earpads on the AO headphones which provide all-day wearing comfort. It also has swivel ear cups and adjustable headbands for easy storage and carrying. The headphones come with a built-in battery that provides up to 20 hours of continuous music playtime. The headphones come with an auxiliary cable for use at low battery levels, together with a buitl-in microphone for hands free calls. 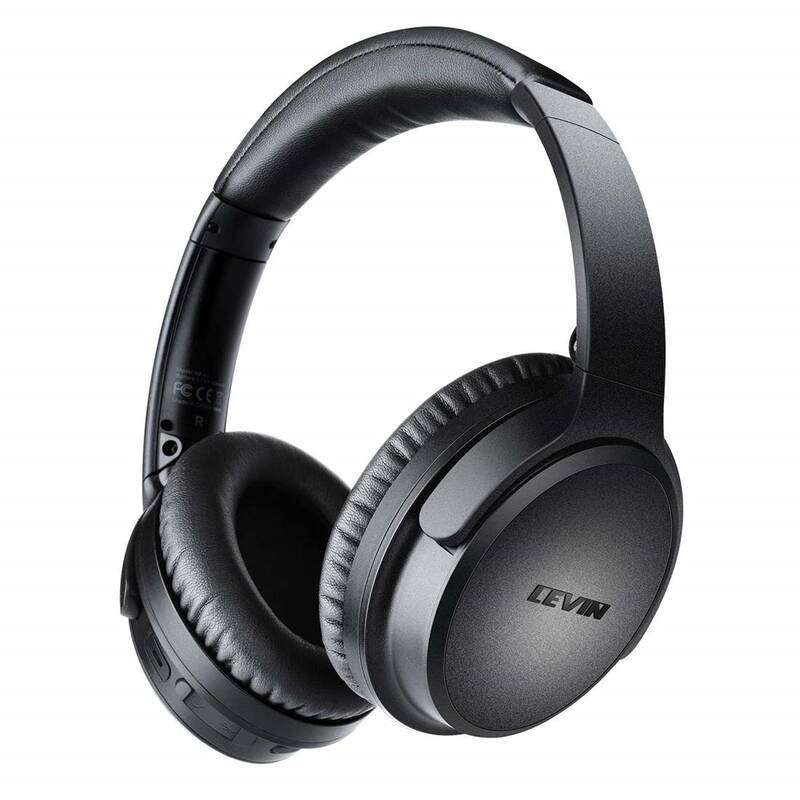 The Levin ANC headphones are budget noise cancelling headphones that provide exceedingly good comfort and crystal clear sound quality. These headphones are equipped with active noise cancelling technology that can reduce surrounding noises by up to 85% – this allows you to focus on your music and podcasts without any distractions. The headphones come with 40mm large drivers with excellent acoustic design for hi-fi stereo sound and deep bass reproduction. Vocal performances are reproduced with natural crispness and good dynamics, with a degree of soundstage. The Levin headphones come with a built-in 600 mAh rechargeable lithium polymer battery that supports 25 hours of playtime and 120 hours of standby time on a single charge, and takes only 2 hours to reach a full charge. In terms of comfort, the Levin ANC headphones clearly excel with its ultra-lightweight and soft ear padding design for long time wearing. It comes with a 90 degree swivelling ear cup and adjustable headband for easy storage. The headphones use Bluetooth 4.1 for high-quality music streaming up to a distance of 33 feet, and have a built-in microphone for hands free calls. The Conambo CQ4s are surprisingly good budget noise cancelling headphones that deliver great value for money. 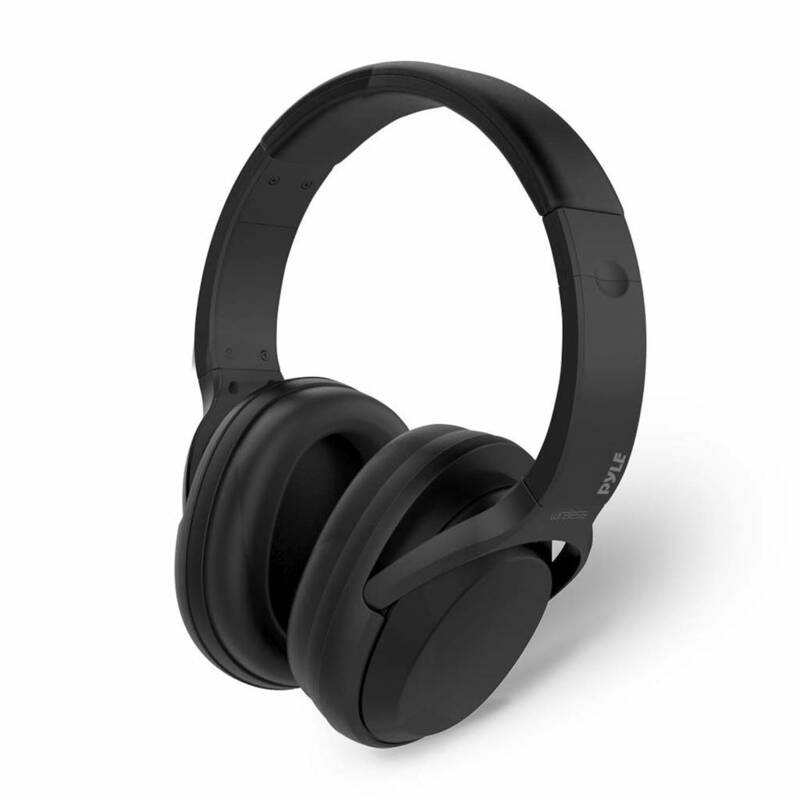 Apart from its sleek and comfortable design, the CQ4s are designed with noise-cancelling technology that reduces up to 85% frequency noises during plane travel, office spaces or in noisy environments. We particularly liked the fact that the CQ4 headphones provide top-tier sound performance, with proprietary 40mm large-aperture drivers. The sound quality of the CQ4 is very good, with exceptional clarity though an extended frequency range, with accurate and smooth bass response that does not sound bloated or overwhelming. The sound quality of these headphones remains consistent regardless of whether the active noise cancellation is switched on or off. The CQ4 headphones has an adjustable headband with flexible metal which ensures a perfect fit for different sizes; the headphones come with a foldable space saving design that feels lightweight. The entire package comes with the headphones, 3.5mm audio plug, airplane plug and can be used with smartphones, laptops or PCs. The Srhythm headphones are budget noise cancelling headphones that outperforms the rest in terms of sound quality and noise cancellation. These headphones come equipped with professional noise cancellation technology that cancels up to 85% of background noises, providing a quiet and enjoyable listening experience. Furthermore, the headphones are equipped with 40mm drivers that provide immersive hi-fi sound quality and deep bass performance. It also has a built-in microphone that allows for hands free calls and wireless Bluetooth streaming. We were pleasantly surprised at how good the sound quality from the Srhythm headphones sounded. Straight out of the box, these headphones delivered crystal clear highs, detailed midranges and smooth bass response. 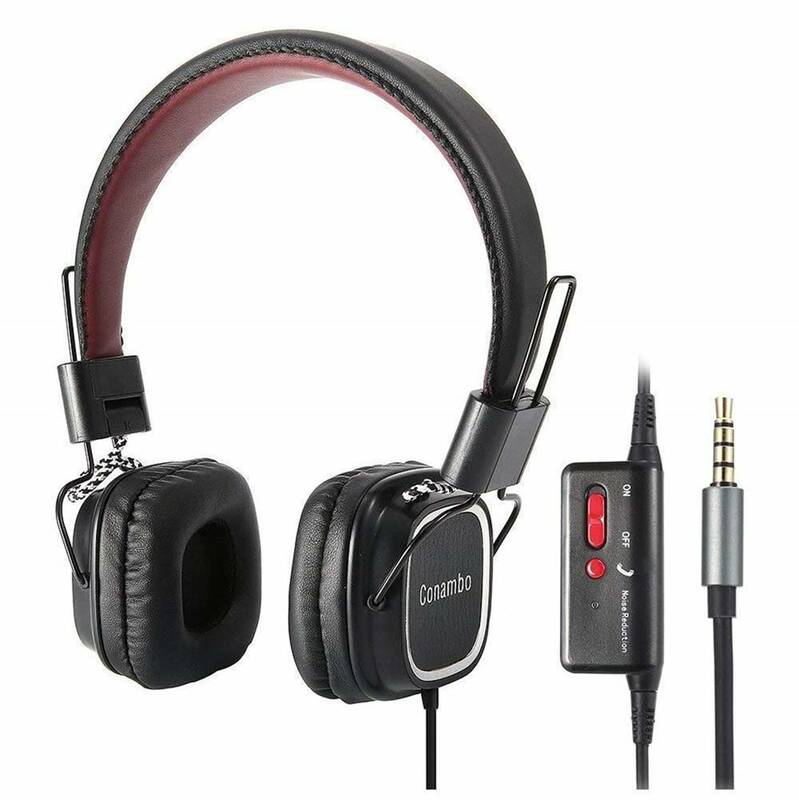 Instrumental and classical music were reproduced with a good degree of soundstage and separation, while instrumental notes can be clearly heard within these headphones. 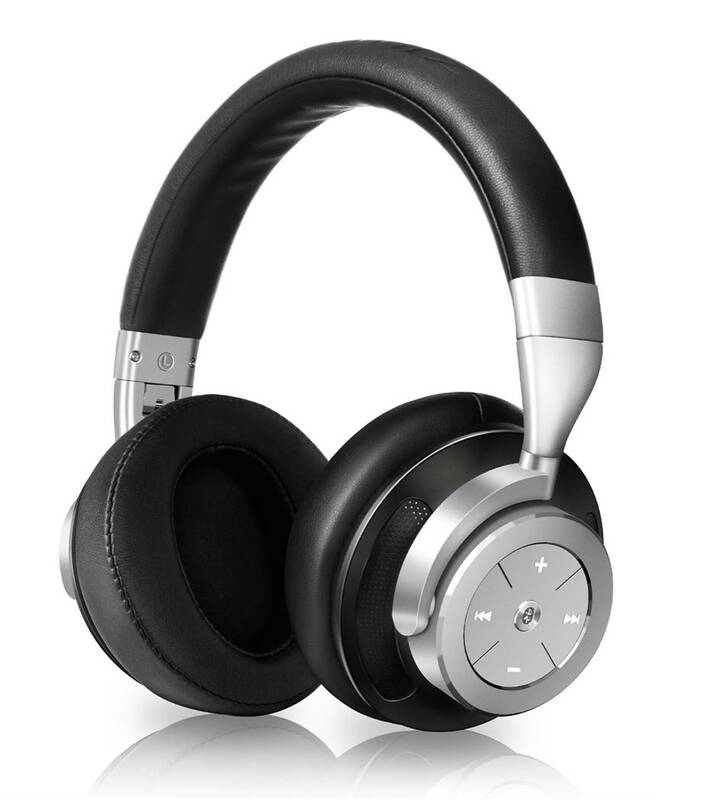 The Srhythm headphones features a unique comfortable and foldable design that feels lightweight on the ears. It has professional protein ear-pads and 115 degree swivelling ear-cups that weigh a mere 0.4 lbs and are easy for carrying or travelling. To top it off, these headphones feature 16 hours of continuous music playtime on a single charge and a 3.5mm stereo audio cable is also provided for use during low battery. The entire package comes with the ANC headphones, USB charging cable, 3.5m audio cable, airplane adapter and carrying zip case with a user manual for easy reference. The Avantree are some of the best budget noise cancelling headphones built for durability and performance. These headphones are equipped with active noise cancelling which eliminates distracting low frequency background noises while preserving the natural characteristics of the audio source. The headphones come with high precision-engineered 40mm stereo drivers combined with an advanced Bluetooth CSR chipset which delivers powerful and steady audio which ensures a smooth and dynamic music listening experience. 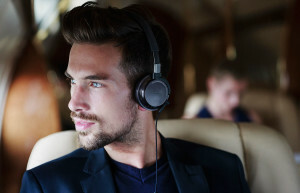 The Avantree headphone has a portable and travel-friendly design – it’s a great choice for frequency travellers to eliminate and reduce engine hum noise on long flights or train rides. It also comes with a convenient and durable carry case for easy storage and packing. We liked the fact that these headphones come with a built-in microphone with media controls; the headphone has a user-friendly interface which allows you to answer phone calls, mute the microphone and adjust volume and control audio playback with easily accessible keys. 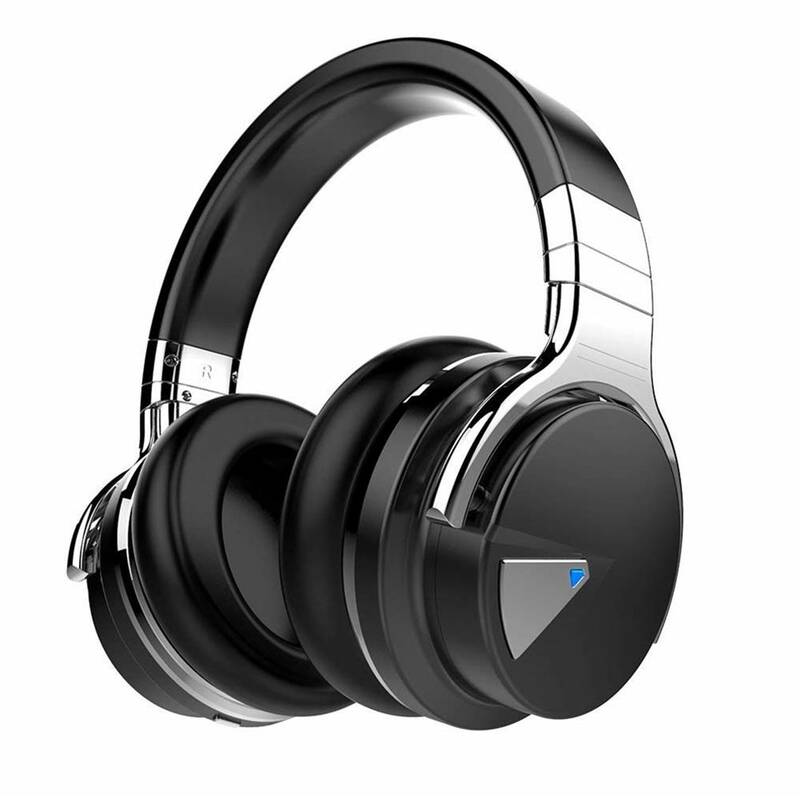 Furthermore, these headphones are fully compatible with any fast stream low-latency Bluetooth transmitter, which makes them ideal for watching TVs or movies without any lip-sync delay. It comes with a built-in battery that provides up to 28 hours of continuous music playtime on a single charge. The entire package comes with the Avantree ANC031 headphones, carry case, 3.5mm audio cable, micro USB charging cable and quick user guide for easy reference. 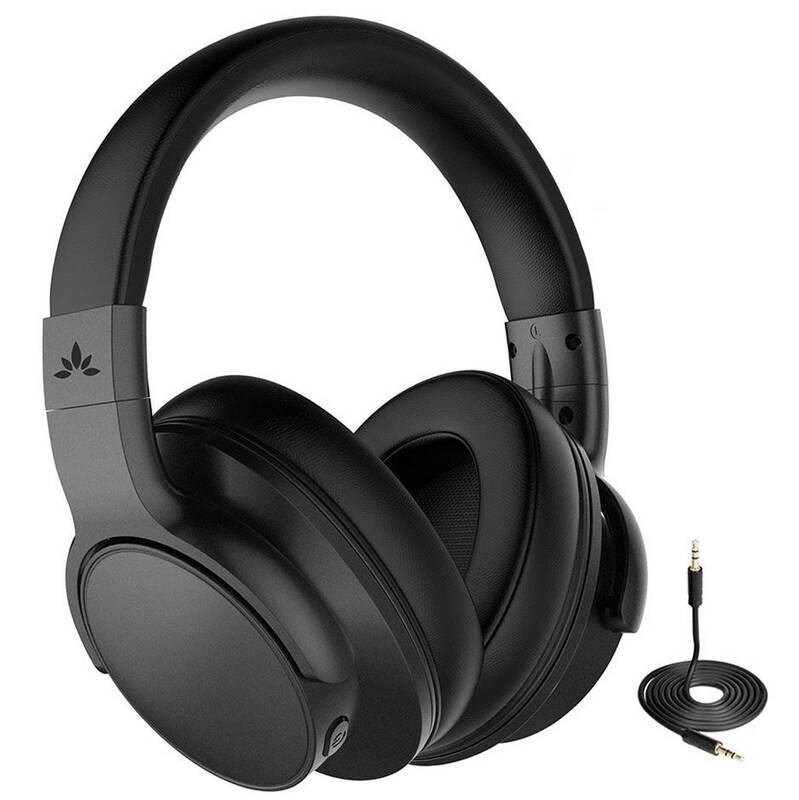 The Linkwitz ANC headphones are some of the best budget noise cancelling headphones we have tested that provides great sound quality and comfort. It comes with ANC technology that can eliminate up to 85% of ambient background noises and are great for airplane travel or for office use. The headphones have a built-in 300mAh rechargeable battery that provides up to 16 hours of continuous music playtime and 240 hours of standby time. The headphones also come with a charging cable for easy charging. The Linkwitz headphones have a 40mm large dynamic sound unit with an acoustic design, which provides with you with a more natural and balanced sound. The low-end frequencies are well-defined, while the highs are crisp and crystal clear. Vocal performances sound true and you can easily control various music types for an excellent listening experience. These headphones are made from high-quality and durable materials; it features an ergonomic design with ear cushions that are breathable and comfortable to wear. The headphones also feature 90 degree rotating earmuffs for easy storage and carrying, together with an adjustable head beam for head size. These headphones feature Bluetooth 4.0 for wireless music streaming up to a distance of 33 feet. We liked the fact that the controls are conveniently located at the side of the ear cans. The entire package comes with the Linkwitz headphones, 3.5mm audio cable, micro USB charging cable and headphone storage case. The Pyle PBTNC50 are budget noise cancelling headphones with an over ear design for added comfort. It comes with active noise cancellation that can block out most ambient background noises including deep hums and high-frequency sounds. The headphone also comes with an adjustable headband to fit most head sizes. The sound performance from the Pyle PBTNC50 is surprisingly good and crystal clear, with very good attention to detail. Music performances sound vibrant and well-defined, while the bass output from the headphones hits hard and sounds punchy. We thoroughly enjoyed listening to the crisp highs and detailed midranges in rock and pop concerts through these headphones. The headphones are designed to be portable and come with collapsible ear cans which easily slide downwards and foldable. The headphones uses wireless Bluetooth 4.0 for high quality music streaming with a transmission distance of up to 35 feet. We also liked the fact that the headphones have a microphone for hands free calls on the go. The Pyle headphones feature a built-in rechargeable battery that provides up to 15 hours of continuous music playtime on a single charge. It also comes with a 3.5mm auxiliary cable for use when the battery power is low. The entire package comes with the wireless headphones, USB charging cable and audio connection cable to get started.